Franco is licensed, bonded and insured. He has over 30 years experience as a stair builder and finish carpenter in some of the finest homes in California and Italy. Whether it be installation of a complex circular stair or the remodelling of an existing outdated staircase, Franco's Finish Carpentry guarantees a quality product . He is also available for custom wood fireplace mantels and interior trimwork. Call 310 874 0271 to schedule an appointment for a free estimate. References available. Serving San Pedro, Palos Verdes, Rolling Hills, Lomita, Torrance, Redondo Beach, Hermosa Beach, Manhattan Beach and beyond. Simi Valley Full Service Staircase Designer - 3X Best of Houzz! M&M Stairs is a custom stair builder throughout Southern California for over 30 years. Quality craftsmanship & superior customer service guaranteed! Chapala Iron and Manufacturing has been serving our loyal customers in Santa Barbara, Ventura, Malibu and surrounding counties since 1973. Carrying on a time-honored tradition that is almost lost to history, we have satisfied both homeowners and contractors for decades. Our exceptional made-in-America craftsmanship graces private estates, residential, and commercial developments. Nothing captures the old world charm of George Washington Smith's Santa Barbara and Montecito like the attention to detail we bring to each hand rail or spiral stair; nothing expresses a Mediterranean flair like our wrought iron driveway or pedestrian gates. Some of our highly skilled fabricators have worked with us for 25 years, practicing this age-old craft, passed on from generation to generation. 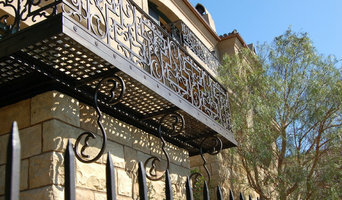 Pieces such as entry gates or stair rails are often hand-hammered to emulate historical iron. Providing you with the utmost level of service, as each work is custom-made to your specifications, Chapala Iron prides itself as an industry leader. If you have any questions or want to be contacted regarding your current or future design, remodel, or dream project, please call us at 805.654.9803 and we will contact you for a free quote. Or even better, visit our Ventura showroom where you can view portfolios of our work: from beautiful balconies to gorgeous guardrails; wonderful window grilles to fabulous firescreens. Wrought iron accessories, structural steel, stainless cable railings, as well as steel windows & doors are now featured in our list of available ironwork. Design Hardwoods is the premier custom and remodel stair company in Southern California. We have an extensive milling facility and showroom with full size stair displays and photo galleries to serve our clients with. Showroom hours Monday-Friday 630am-530pm. By appointment only. Business partnership forged from many years of working together within other stair companies. Over 20 years of stair and industry knowledge! Brian and Jerry have each gone from helpers, to installers to shop workers to shop masters, to sales, to Operations Managers. We understand this industry from the ground up. We are not simply a business seeking solely profit like many other companies- we are driven by a passion for quality and craftsmanship of stairs! We don’t love your stair until you do. For this reason, every stair is done one at a time to ensure the highest satisfaction. We are licensed, bonded and insured. All your custom stair and railing needs. We specialize in new construction, remodel, refinish, iron baluster exchange, solid treads, end treads, custom iron fabrication, stainless steel posts and rails, glass panels on stairs. We also offer custom hardwood flooring and installation. Custom moldings- baseboards, casings, crown moldings, wainscoting, etc. 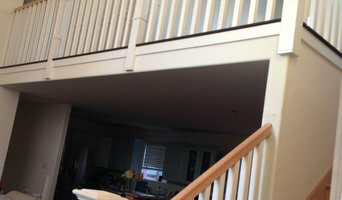 SoCal Stairs provides custom stair building and stair remodeling services throughout Southern California. With constant attention to detail we successfully satisfy even the most discerning customer. 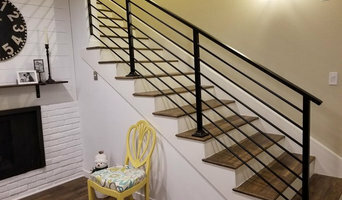 Whether it’s the warmth of handcrafted hardwood stair treads and railing, the elegance of continuous wrought iron railing, the cool precision of stainless steel and glass railing, or the ever-popular wood and iron combination railing, we’ll work with you to put together a package that fits both your needs and budget. We provide residential and commercial contemporary railing fabrication and installation. Either new construction or remodel. CSS Finish & Stairs, specializes in detailed finish carpentry. Please call us today for a fast and friendly service that you will not be disappointed in! CSS Finish & Stairs offers high quality work performed by qualified professionals. Bronze Age Metal Design, Inc. In the past two decades, we at Bronze Age Metal Design, Inc. have been involved in hundreds of custom architectural metal projects in the greater Los Angeles area. We cater to architects and designers as well as developers, builders and homeowners. Our broad spectrum of metal projects spans from architectural railings, gates, and fences, through custom retail fixtures and display units, to metal furniture, sculptures and special structures. With our unique combination of engineering skills and aesthetic sensibilities, we have created a one-stop architectural metal facility, providing our clients with a complete range of services that include design, engineering, fabrication, and a wide variety of metal finishes. 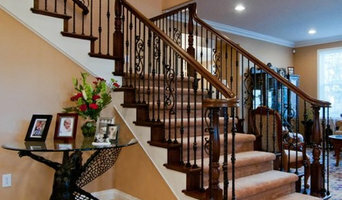 M&M Stairs a custom stair builder throughout Southern California for over 30 years. Quality craftsmanship & superior customer service guaranteed! We offer wood handrails, iron balusters, iron baluster replacements, wood and iron spindles, solid wood treads with trim. Stair designing and installation in wood, reclaimed materials, iron, stainless and glass. Specializing in historic restorations and custom milling. Wainscoting, paneling, base molding and crown molding. House of Stainless Steel, Inc.
Modern steel cable and glass railings and fencing for residential and commercial. Hardware and installation for the Greater Los Angeles area. Glass Queen offers unique methods of glass decoration, and we specialize in one-of-a-kind contemporary and traditional classic designs, for both commercial and residential purposes. Each of our creations is an exquisite and flawless piece of glass reflecting the designer's own developed style and refinement. Our glass items will decorate any house, condo, office, store, or center with their simple elegance.All the designs are as functional, as they are beautiful. Glass Queen specialize in production of textured glass, melted glass, interior and exterior door lights, railings, frameless doors, decorative windows, dividers, skylights, glass floors, countertops, shower units, back-painted glass, displays, glass signs, glass fireplaces, glass sinks, mirrors, waterfalls, fountains, accessories, etc. When we say we have glass and mirror for all your needs, we mean it. Window repairs and replacements, safety glass, plate glass, new storefront installations, renovations and repairs, table tops, custom mirrors, beveling, re-silvering, shower doors installed or repaired, insulated units, and plexiglass are just a sampling of the many services we are able to offer.